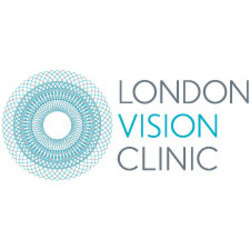 London Vision Clinic was established in 2002 and is based on Harley Street, London. Known for its exceptionally meticulous eye examinations (with testing and screening being done two to three times for each patient’s eyes), the clinic has built a reputation for providing individually tailored treatments. The clinic specialises in treating patients with complicated or high prescriptions, usually those who have been turned away by other clinics. Unlike many other clinics, London Vision has developed safe and highly effective laser surgery techniques for such cases. Due to years of pioneering ophthalmic research and the clinic’s unique testing process, every patient is guaranteed personalised tratment. London Vision’s surgeons are not only up-to-date with the latest advances in laser eye surgical technology, they also help design this technology through their partnership with Carl Zeiss Meditec, a world-leading laser manufacturer. The clinic’s treatments include standard LASIK and PRK/LASEK procedures. Apart from these, it also offers Laser Blended Vision, a procedure for treating presbyopia that corrects both near and distant vision to give the patient’s eyes a better visual range. London Vision also offers a one-of-its-kind procedure which was co-invented by Prof. Reinstein. The ReLEx SMILE procedure was designed for patients with high prescriptions, drier eyes and thinner corneas. It’s a procedure that doesn’t involve the creation of a corneal flap in order to correct the patient’s vision. Prices correct as of April 2019. You can compare these to other laser eye surgery clinic prices here. Professor Dan Reinstein and Mr. Glenn Carp are the surgeons in charge of performing procedures in London Vision. They were recently joined by Mr Gerry Clare. Professor Reinstein is one of the developers of ArtemisTM, the world’s most accurate corneal scanner which is only available at London Vision. London Vision Clinic’s patients have given positive feedback on their surgeon’s professionalism, the staff’s hospitality and the care given to them. The prices cover all the aftercare for a whole year, including eye drops. After that, optional annual examinations are offered at £150 each.